When you opt to introduce the STAR system into your business, your technology team can rest assured that the platform is completely secure, fully scalable and designed for easy implementation and seamless migration. Star Compliance invests heavily in system security, with 50% of revenue ploughed back into research and development. The STAR platform is now trusted by more than 115 enterprise financial institutions around the world. StarCompliance is an ISO certified, Microsoft Gold Partner with a nimble and responsive development organization, able to respond quickly to technology-related requests and issues as they arise. 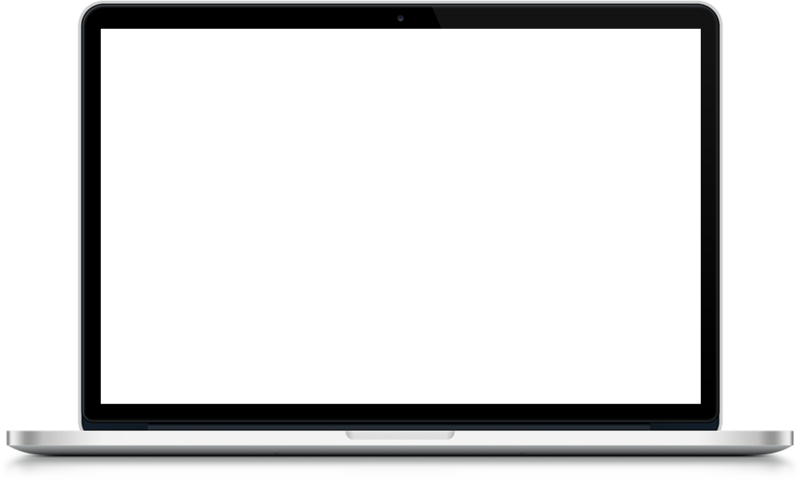 The flexible STAR system is designed for compatibility with multiple platforms and enterprise systems. It will integrate seamlessly with your HR, CRM and other data-management systems, while providing the highest standards of security for your data. 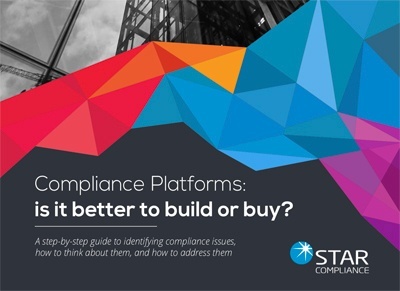 It’s a system that has been tried and tested at some of the leading financial institutions in the world, and you can rely on the expertise and resources available at StarCompliance to support you through every stage of implementation, migration and deployment. For your complete peace of mind, the STAR platform can help your firm comply with SEC, FINRA, FCPA, FCA, UK Bribery Act and MiFID regulations. 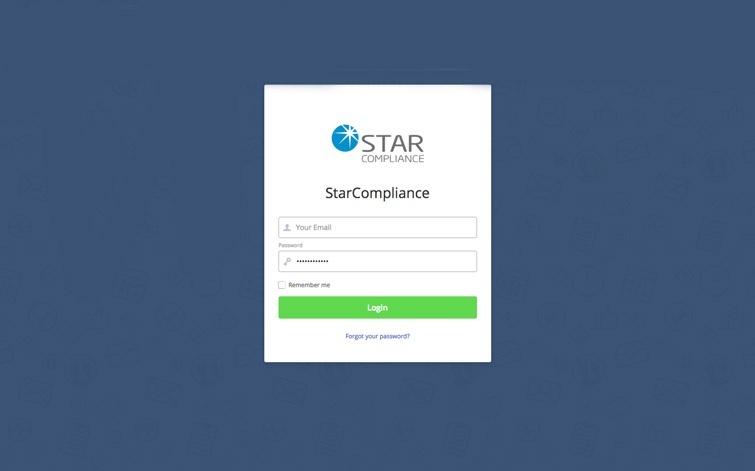 StarCompliance deploys the highest levels of security in its software and networks, including single sign-on, roles-based access control, data encryption in-transit and at-rest, firewalls with IPS, Host Intrusion Prevention Systems (HIPS), endpoint security and much more. Learn More. The STAR system can integrate with a large number of other enterprise systems including HR, expense, order management and trading systems. A range of standard file import specifications is available to allow your IT development groups to immediately identify and extract the required information. The STAR application includes a range of features to help IT operations teams monitor the receipt and processing of all data feeds. StarCompliance also offers a range of pre-built data integrations to provide security reference data, pricing and market data, news event data and political contribution data. 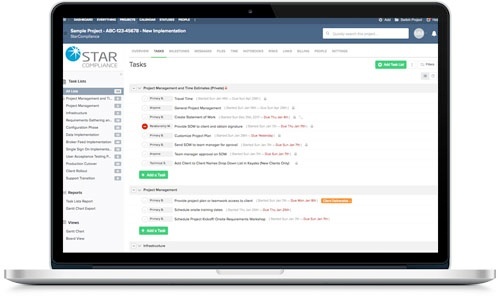 For each implementation, StarCompliance provides a detailed timeline, outlining all major steps in the process, and the estimated time for each task. From initial contract to implementation, broker feeds, data migration, and more, we take the lead and provide clarity about each step – to ensure we meet the agreed upon go-live date. 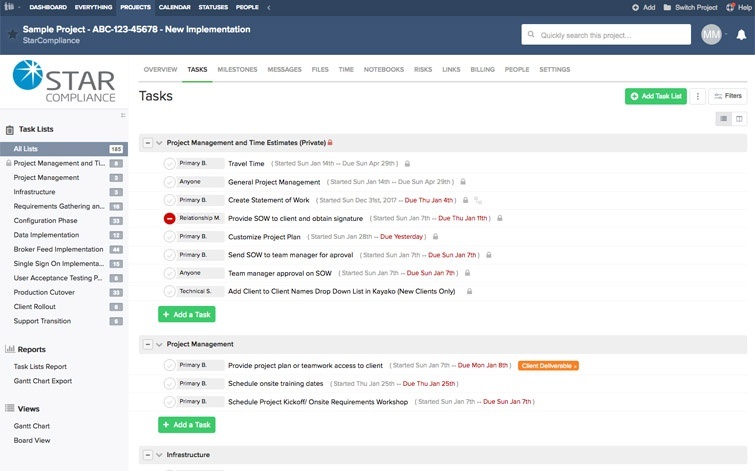 We use a robust project management tool to stay on track and make the whole process as simple and stress-free as possible for your technology team. StarCompliance data hosting locations are subject to the very highest levels of physical security, including 24/7 security guards, advanced biometric access systems, multiple power back-up systems and buildings featuring false entrances, vehicle blockades, bulletproof glass/walls and cameras with digital recorders. Learn more. As part of the sales process, StarCompliance has completed more than 100 in-depth security questionnaires, third-party risk assessments and security due diligence assessments for clients – demonstrating the quality of our technology and the rigor of our security processes. Our ability to fulfil all data security requirements enables us to complete these questionnaires without delay, demonstrating our robust approach to information security management – and accelerating the sales process. Throughout the implementation and migration program, we maintain constant contact with you. We give you a login to our project management tool, so you have complete insight into the project’s pace, milestones, tasks and more. 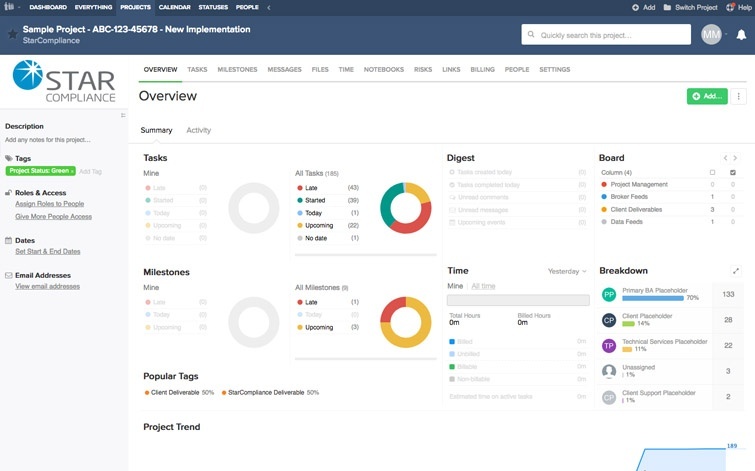 You can set up any number of users on the project management tool, assigning different levels of visibility and responsibility to each individual. When you work with StarCompliance, you have complete confidence that you’re getting a high-quality, pre-configured solution for your organization – delivered right on schedule. How can STAR help you? 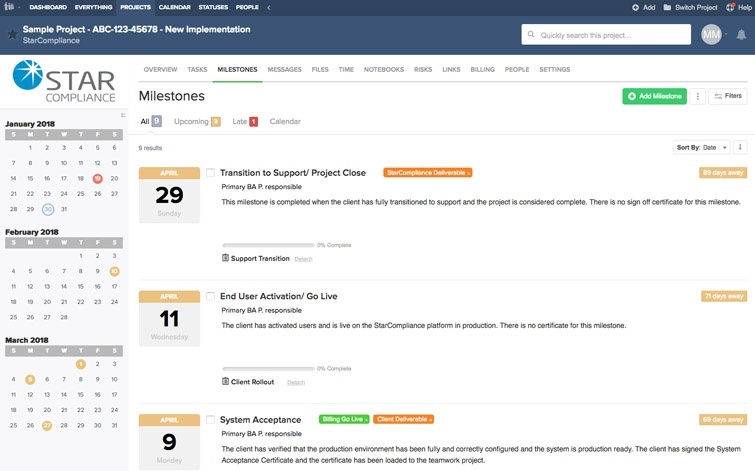 You can view information on project start/end dates, tasks in-progress, completed or imminent, project milestones, task owners and more. 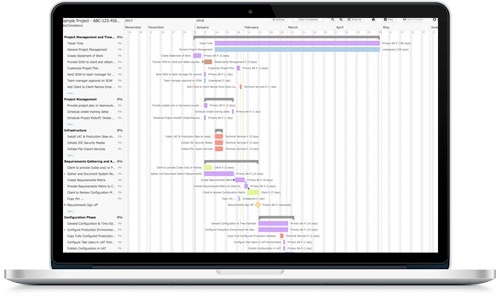 For each task you can see the estimated hours, start date and times, expected due dates and who will complete the tasks. Keep track of key deliverable dates, people assigned to each milestone, event details, and the progress towards completion over time. 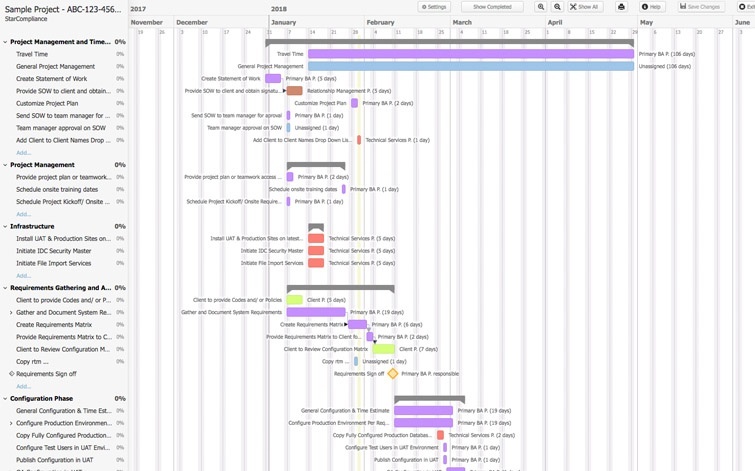 View the entire project and individual tasks in an illustrated project schedule, complete with start and end dates and summary elements. StarCompliance is a Microsoft Gold Partner for Application Development. Gold Partners are within the top 1% of Microsoft’s solutions partners. This level of Microsoft validation demonstrates our commitment to improving the skills of our software developers, assuring clients of the quality and stability of our software. It gives us access to the tools and support we need to stand out in the marketplace and build the closest possible working relationship with Microsoft. If you’re an enterprise financial firm operating in the complex regulatory environment of the global economy, staying compliant is imperative. Our comprehensive guide will take you step-by-step through the build-or-buy process, and give you actionable insights for determining which direction is right for you. If you’re looking for software with robust compliance solutions that will improve business efficiency while safeguarding the integrity and reputation of your organization, look no further. Schedule a personalized demo with a Star professional to see what the STAR platform can do for you.